This issue should now be resolved. I have checked the Twitter Updates gadget (plus others) on various sites, and am now assured everything should be back to normal. I've been made aware of the issues many Blogger users are experiencing with the Twitter Updates gadget. At present, this is showing "tweets" from the user @undefined and ignores user preferences for the number of tweets to be displayed. The same issue affects some of my other gadgets too: most notably, the Flickr, Picasa, TwitPic and Juitter gadgets. As far as I can tell right now, this issue stems from a sudden, random error affecting any gadgets utilizing User Preferences. These issues do not seem to be affecting every blog in which such gadgets are installed. The Blogger Team are aware of the issue and are investigating now. I'm also testing various changes to user preferences for my gadgets to see if a different solution to registering user preferences could resolve the issue for my gadgets. I anyone is still receiving errors when using their Twitter Updates gadget (particularly if this displays tweets from @undefined's stream) please do let me know in the comments or send me an email. 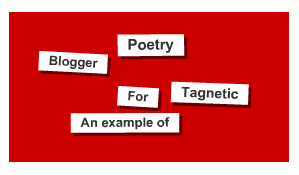 As announced yesterday, Blogger have now enabled selective post summaries for our blogs. This means we can add a "jump break" in our posts, after which any content will only be visible on item pages. Those of us using customized templates will probably need to add the code required for this function to work. In this article, I'll explain how easy this is to implement, as well as some helpful hints for customizing the "Read More" link. 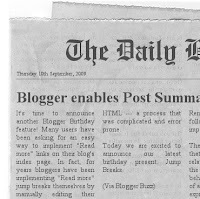 Read More/Post Summaries Now Available in Blogger!! One of Blogger's most requested features has been the ability to summarize our posts on home and non-item pages using some sort of "Read More" function. 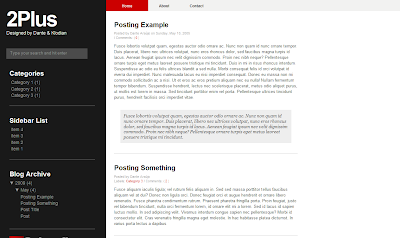 It's been a while since I've designed a Blogger template for free release. But after reading this excellent tutorial on Smashing Magazine, I was inspired to create something different: an ultra-customizable, HTML5 based template for Blogger. Nexus 5 is a one column template, with widgetized sections in the footer for any gadgets you may like to include. A wider, two column version will be available shortly for those who prefer gadgets in a sidebar section. One question I am asked often is how to create a sitemap, where posts are organized by category (label) and link directly to blog posts. There are several ways this could be achieved, such as manually coding a sitemap, or using a service to generate the feeds for each individual label. In this article, I'll explain my favourite method for creating a sitemap/table of contents for Blogger blogs: using a modification of Google "Feed Control" to generate a sitemap automatically using the minimal amount of code. 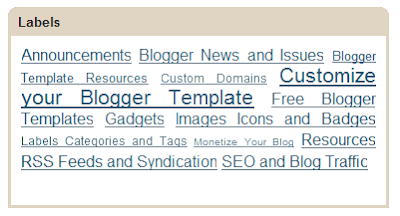 The sitemap we will create will list all post titles from your blog, organized by their category/label on a post page. We can then link to this post page from elsewhere in the Blogger template, such as a link menu beneath the header, or a link list in the sidebar which details links to other important pages of your site. 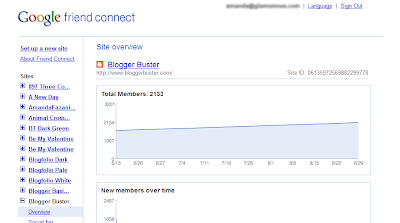 You may also like to take a look at the sitemap I've created for Blogger Buster to see how this works in more detail. 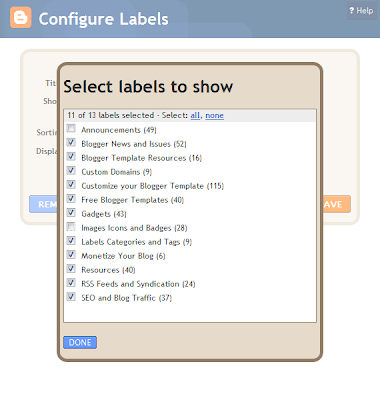 Abu Farhan has created a very simple Table of Contents/Sitemap script for Blogger users which can be installed very quickly and easily. This alternative script uses only two lines of code, and can easily be pasted into a post page (or even a sidebar widget if preferred). All we need to do is change the URL of our blog. Once installed, this script automatically parses and displays each post under label headings and displays in alphabetical order. What's more, the latest 10 posts from each category are highlighted with "New" so readers can easily notice the most recent posts. Unlike my Google Feed Control script, this installation is not limited to 100 posts per category. Be sure to take a look at this excellent script and installation instructions on Abu's site as this is much easier to install and generated a very clean, organized sitemap with little effort. Thank you for sharing your script, Abu! Let's look at each step in detail. In order to use Google's Feed Control, you'll need to generate a unique API key for your blog. This key will be unique to your particular blog, and may only be used on the domain you specify during sign-up. If you have multiple blogs and would like to install a sitemap on each blog, you'll need to generate a new API key each time. Your API key is provided free of charge, and enables you to utilize scripts which are hosted on Google servers (so we don't need to upload and host these scripts elsewhere!). So, first things first! Generate a Google AJAX API key for your site, and copy this long string to your clipboard (or your favourite text editor) for later use. The next step to installing a sitemap is to paste the "template" on which your sitemap will be based into a post page. * How to use the Feed Control to grab, parse and display feeds. 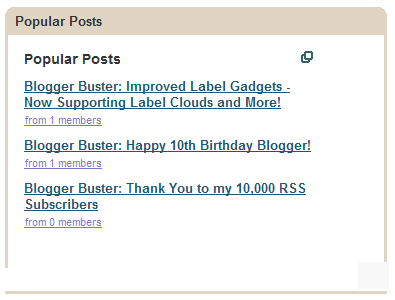 // Add blogger label feeds. The <style> section at the head of this code prevents the summary (usually printed by the Feed Control script) being displayed, so that only the linked title is displayed on the sitemap page. You may notice I've also highlighted other sections in bold coloured text. These are the sections we need to edit for your particular blog, as outlined below. In the code you have pasted in your post page, you need to replace "YOUR-API-KEY" with the unique API key you generated at the beginning of this tutorial. It is easiest to have your API key copied to your clipboard; then highlight YOUR-API-KEY and key CTRL+V (or CMD+V) to paste the key instead of the phrase. This step of the tutorial is a little more complex. We need to paste the URLs of the label feeds we would like to use for the sitemap in place of YOUR-LABEL-FEED-URL, and replace TITLE-OF-YOUR-LABEL with an explanatory title for each relevant line of the Feed Control script. In total, I have used 10 lines (for 10 different labels) in the template script. If you require more, simply duplicate this line and add your label feed urls and titles as appropriate. Similarly, lines may be deleted if you need to use less than 10 labels for your sitemap. 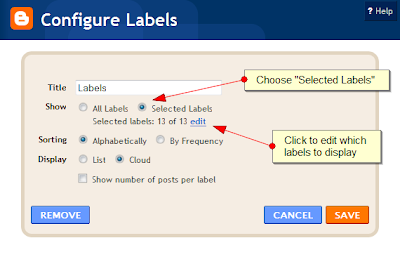 where LABEL-NAME is the name of the label you are using in your blog. We also need to include the variable "?max-results=100" at the end of the label feed URL to ensure the maximum 100 posts from each label will be displayed. Otherwise, only the first 25 posts will display in our sitemap. If any of your labels include spaces, you must replace the spaces with %20 instead. Finally, the URLs of your label feeds are case sensitive. If you use any capital letters in the names of your Blogger labels, you will need to match these in the label feed URLS. The LABEL-NAME element of each line is where you need to type the name/title of the label feed. This aspect is not case sensitive, since it is not generated by your label feeds. If you like, you can use a title which is not the same as the label feed to offer a more explanatory title for your readers. Once you have finished adding the Label feed URLs and titles to your Sitemap post, you can publish your post and enjoy using your new Blogger sitemap! The sitemap takes ages to load! This may happen if you use a large number of labels in your sitemap. Few label feeds will load quickly, while many will take a long time to load. 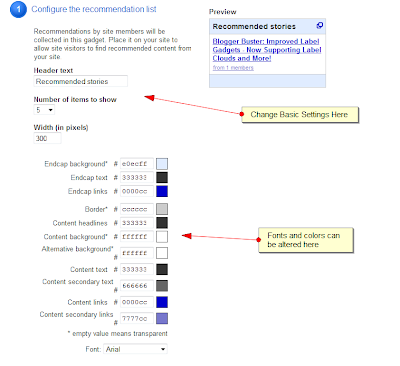 If this is of particular issue, try to reduce the number of labels/feeds in your sitemap. The sitemap does not display! If the sitemap does not load at all, this may be due to an error when pasting the initial template code, your API key or a label feed. The best advice would be to begin the installation again, making sure you use the Edit HTML mode of your post editor and are careful not to accidentally delete any other elements of the code. You should also take care not to switch to "Compose" mode while editing your sitemap as this sometimes makes involuntary changes to HTML code which could corrupt the sitemap script. This may happen in cases where the URL of your label feed is not quite correct, for example, the title is not capitalized, or spaces are not replaced with %20. In this case, edit your template and check the URL of the offending label feed carefully for any involuntary errors. Make changes as appropriate, and save your template. I have more than 100 posts filed under a particular label. How can I display all posts? Google's Feed Control can only be used to display up to 100 posts from a particular feed. In order to display more results, we need to add a new feed variable, in which the start index is 101. 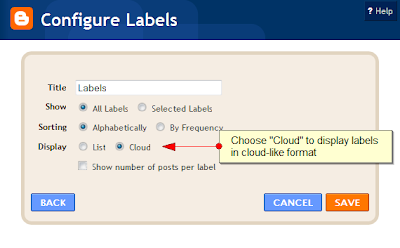 If your label includes more than 200 posts, you can add a third variable where the start index is 201, and so on. It is possible to add extra content to your sitemap page, for example, a explanatory paragraph or links to other important pages of your template. Ideally, you should add this content while editing your sitemap in Edit HTML mode. Be sure to add this content above or below your sitemap script to prevent any errors which would prevent the sitemap displaying properly. If you would like to style elements of the sitemap, you can achieve this using CSS (either by adding to the <style> section in the Sitemap script, or within the <b:skin> section of your Blogger template. I hope this tutorial offers a comprehensive guide to using Google's Feed Control to create a dynamic updating sitemap for your Blogger blog! I understand this is not a simple "one click install" sitemap, though as this sitemap updates automatically each time we create a new post, I find this is the easiest, most flexible option to use. I would love to know of any simpler installations for this sitemap, so if you have written one (or have discovered a tutorial), please feel free to let us know in the comments. While browsing around looking for more Blogger gadgets to add to the directory, I discovered an awesome feature offered by Google Friend Connect: the Recommended (Popular) Posts Gadget. This is a feature which I'm sure we've all been waiting for! While we have seen various implementations of popular posts gadgets in the past, I've found these are not as useful or easy to configure as I'd prefer. In contrast, the Friend Connect Recommended Gadget stable, reliable and quickly updates. Being developed and hosted by Google ensures this is unlikely to suffer issues, and once installed it's very easy for your blog readers to recommend their favourite posts. Want to see how it works? 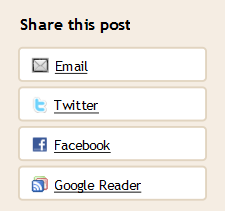 Take a look in the sidebar to see a list of posts recommended by Blogger Buster readers, and scroll down to the bottom of this post for the button you can use to vote (this appears on every page of Blogger Buster, so feel free to recommend any other posts you may like!). Those of you reading this in a feed reader may like to pop over to the site to see this gadget in action. Unfortunately, this Friend Connect gadget is not (yet) installable in one click. There are two elements required for complete installation, and these are relatively easy. Firstly, log into Friend Connect. You will need to use the same credentials (username and password) as you do when logging in to Blogger. Any blogs which you have created with your Google account will appear in the list on the left-hand side of the page. Click on the blog you would like to work with (if this is not already selected). This will open a sub-menu beneath the title of your blog. 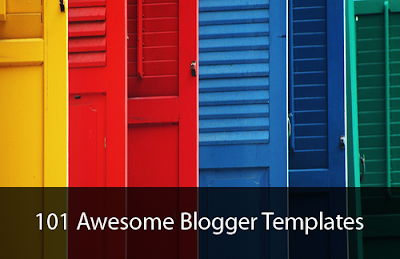 Click through to create and style the Recommendation gadget for your blog. In the first area of this page, you can choose how your recommendation list will be styled when added to your Blogger layout. If you'd prefer any of the color elements (such as the background and border) to be transparent, simply delete the hex value. You'll be able to preview the changes made to the style and settings of your recommendation list in the top right corner of the page. The second area of this page enables you to configure the appearance of the voting button. This is what will appear on the post pages of your blog, and is what your readers will click to recommend posts they enjoy. This will generate two different sets of code - one for the recommendation list, and another for the voting button. Ideally, we should add the voting button to appear only on item pages. This ensures there is no conflict when posting multiple buttons on the same page (for example, the blog home page which displays more than one post); it also makes for simpler installation. To add the voting button to our item pages, we need to edit our Blogger template code. 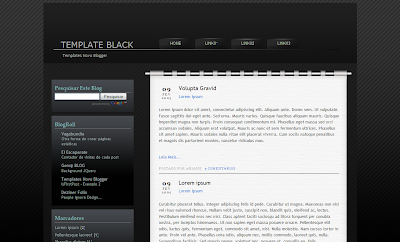 Go to Layout>Edit HTML in your Blogger dashboard, and ensure you have checked the "Expand widget templates" box. This section of code may be wrapped in <div> or <p> tags depending on the template you are using. And paste this between the &ltb:if cond...> and </b:if> tags which we previously added in the template code. Once you've pasted the script, preview the changes you have made to ensure the button does not appear on your blog's home page. If all looks well and no errors are reported, continue to save your template and complete the installation. At first, your recommendation list will not display any posts. This is because no posts have yet been voted for using the voting button. You could vote for a few posts yourself by clicking on the voting button on post pages, or you could simply wait for readers to vote by themselves. I sincerely prefer the Friend Connect Recommendation Gadget to other "popular posts" widgets I have tried as the results are based on reder engagement and genuine recommendations which offer a greater sense of community than "page views" alone. My only reservation is that this gadget cannot be added in a few simple clicks. Having to edit our Blogger templates to add the voting buttons id a dissuading factor for many when considering whether or not to install it. That said, I have a good feeling that this gadget may soon be integrated into the Blogger system, as so many Friend Connect gadgets and features already have! What do you think of the Friend Connect Recommendation gadget? Is installation too complex, or are you happy to use this gadget for readers to recommend their favourite posts? Please let us know your opinions by leaving your comments below. Since Blogger launched the Gadget directory, I've been keeping track of new submissions and developing several gadgets of my own. While Blogger's directory is searchable, I realised that many bloggers would find descriptive reviews, screenshots, developer details and installation instructions a useful addition to the brief descriptions offered in the directory listings. So I decided to create Gadgets for Blogger - a searchable directory of gadgets which have been developed specifically for the Blogger platform. Quick install link, to add the gadget to your blog without having to navigate to your Blogger dashboard and through various menus to locate the installation link. All gadgets listed on Gadgets for Blogger have been tested first, to ensure they display properly when installed in a Blogger blog and also to provide instructions where installation techniques may not be immediately obvious. You can also find all Featured Gadgets by viewing the Featured gallery. Spam and malware gadgets will not be included. If your gadget contains ads, this will be described in the listing page. Include the URL where your gadget is hosted. This enables us to create a link for readers to add the gadget directly from this site. I'll be updating Gadgets for Blogger on a weekly basis (at least) to include any new submissions to the official Gadget directory in addition to any direct submissions on the site. Feel free to suggest any gadgets I may have missed and I'll try to get these included as soon as possinle. Blogger Gadgets - a similar, searchable directory of Gadgets for the Blogger platform. Do you think Gadgets for Blogger will be a useful resource for the Blogger community? Do you have any suggestions for how it may be improved? Please feel free to let me know your thoughts about this new project by leaving your comments below. 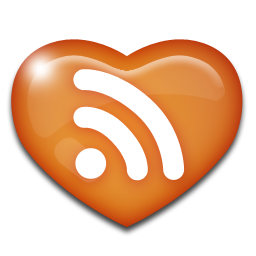 As I logged into Feedburner today, I realised Blogger Buster has reached an awesome milestone - we now have 10,000 RSS subscribers! It doesn't seem that long ago when I set my first target of achieving 500 daily readers, when Blogger Buster was in it's infancy. How far this site has come since then! 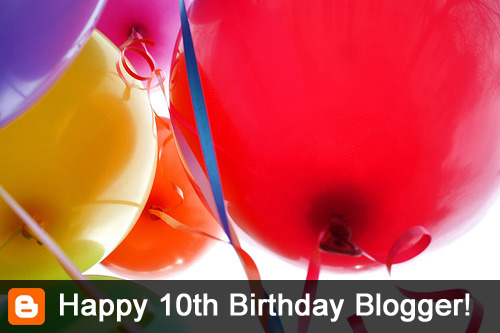 For those of you who may read on occasion, who have bookmarked Blogger Buster for future reference or have simply stumbled upon this post, why not join the other 10,000 subscribers and also receive regular updates on the latest Blogger tips, tricks and news? Just click the subscription button below and choose how you would like to subscribe - I promise it will take only a few moments of your time. Once again, thank you all for subscribing to Blogger Buster, for leaving comments, sending news tips and templates, and for your engagement in improving the Blogger community! This past year, we have seen some incredible changes to the sheer quality and quantity of free templates available for the Blogger platform! From incredible magazine style designs with automatic post summaries to beautiful photo showcases, lifestream templates and everything between - there are high quality designs to suit every requirement, or inspire you in the creation of your own unique designs. 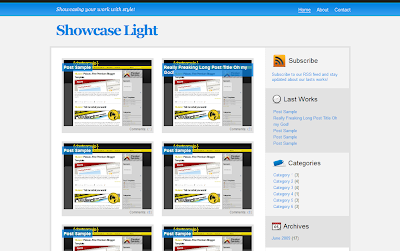 For your browsing and inspirational delight, here is my showcase of awesome Blogger templates for summer 2009. These have been selected because of their outstanding quality, attention to detail, beautiful layout and feature-rich design. I've categorized these themes under nine headings to help you find the perfect template for your site: Simply Awesome, Magazine and Gallery Styles, Bright and Colourful, Minimal and Simple, Dark Designs, Feminine and Flirty, Travel Themes and Miscellaneous Templates. Each template includes a high-resolution screenshot, a link to a live demonstration blog and links to the Blogger designer/coder's download page where you will find instructions, licensing and further details for the design. Due to the sheer number of images, this page may take a while to load. Please be patient - I promise the wait will be worth it! 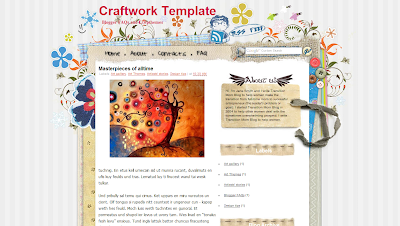 This selection includes some of the most stunning and well-designed templates I have found. These templates are image-heavy and highly stylized, but I'm sure you'll all agree they are awesome! Blog Amuki is one of the most astounding Blogger based designs I have ever seen! 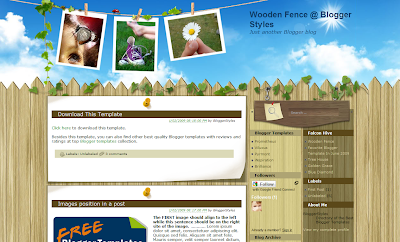 I was awestruck to discover this hugely talented designer has released some Blogger templates for free! 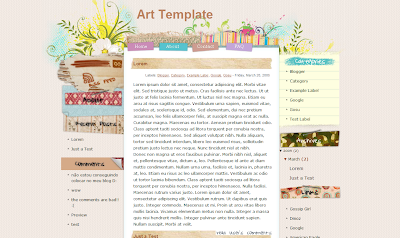 This is the first template by Amuki, which features a very interesting effect to hide the sidebar. Be sure to check out the demo to see this effect in action! 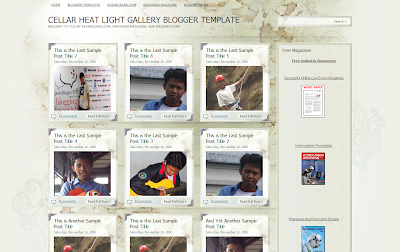 This is a perfect template for anyone wishing to showcase images/templates and the like using Blogger. This beautiful template was designed by RayCreations. 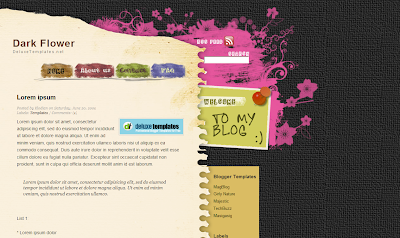 Featuring a stunning background, stylized headings and date headings, this is bound to impress visitors to your blog. 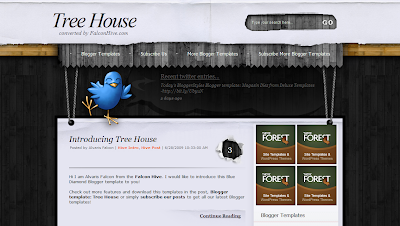 Designed for Wordpress by Skinpress, this adorable theme has been converted for Blogger by FalconHive. This theme is surprisingly easy to set up: full instructions are provided on the download page, while the navigation and 125px ads can all be configured using widgets in the layout. 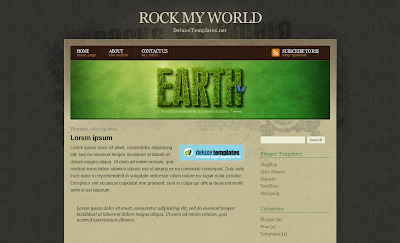 This theme was originally created by EzWpThemes and converted for Blogger by Blogger FAQs. A feminine and quirky design, the appearance has been considered in all areas and makes for a stunning theme. This stunning dark theme includes an animated featured posts section and very stylish typography. An original design by Insight Your Blogger. This fabulous template offers a three column layout with integrated Twitter updates and beautifully styled headings in the central column. Converted by Falcon Hive from the original design by Gopal Raju. Here's another memorable EzWpThemes conversion, this time by Gosu of FoolBlogger.com. Designed to appear like a scrapbook, this highly stylized theme is colourful yet very functional. 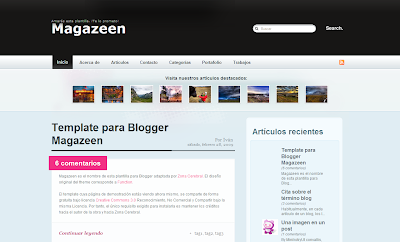 Designed by WeFunction for Smashing Magazine, this Blogger template conversion from Zona Cerebral is simply awesome! Don't be deceived by the apparent simplicity of the layout: once you see this template in action you'll understand why I like it so much. Beneath the header section is an area of thumbnails which link to recent posts. When you hover over a thumbnail, the title of the post it links to will fade in (and out) above the thumbnails. 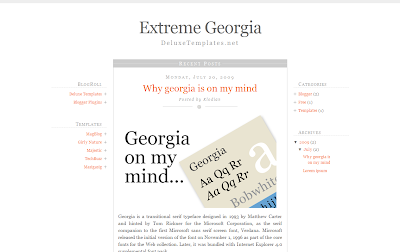 The footer too is well-styled, and while this template will require personalization for your particular blog, I promise the results will be well worth the effort! 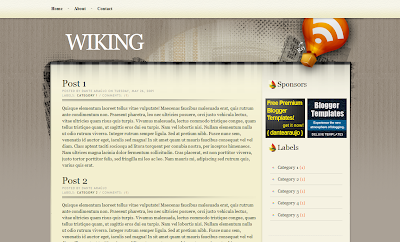 Here's another stunning conversion from Alvaris Falcon, converted from the Wordpress theme by TemplateLite. 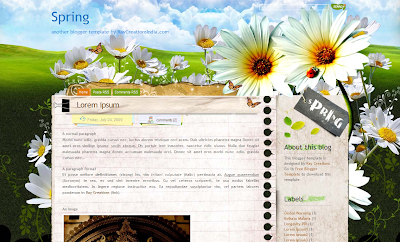 This three column theme is beautifully designed with image-heavy backgrounds in the style of a sunny garden. 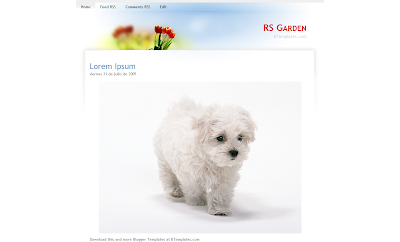 In recent times, magazine and gallery style themes have become very popular. Magazine-style themes are ideal for niche blogs which are regularly updated, and where the showcase of a particular category assists readers in navigation. 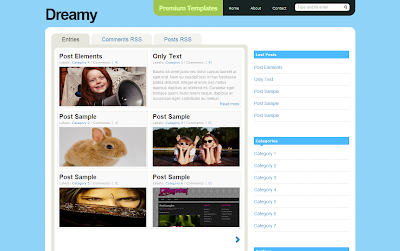 Gallery-style templates are perfect for photo-bloggers, artists and designers to showcase their works as in portfolio fashion. All of the following templates make excellent use of functions and CSS styles to ensure magazine and gallery style themes showcase the potential of Blogger as a powerful publishing tool. Here is a simple, elegant and fresh template by Dante araujo which includes automatic post summaries and thumbnails on the home page. 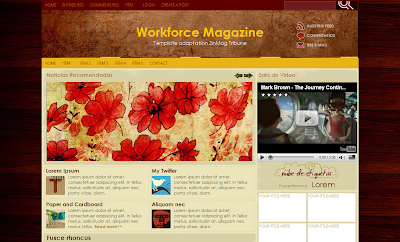 Here is an elegant design with an unusual colour scheme, particularly effective for a business/corporate blog. 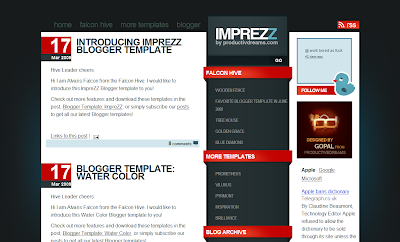 Converted from the WP theme by Jinsona, Falcon Hive's Blogger template is excellent and well worth a look. This design is simply fabulous! 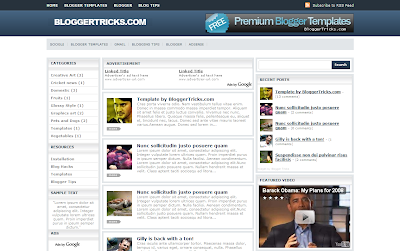 Converted by BloggerTricks from the original design by CamelGraph.com, this features automatic summaries, recent posts with thumbnails, a featured posts section and integrated YouTube embed. This is a clean, magazine style theme with read-more feature for posts on the home page and split header section (perfect for adding wide adsense banners above the fold). 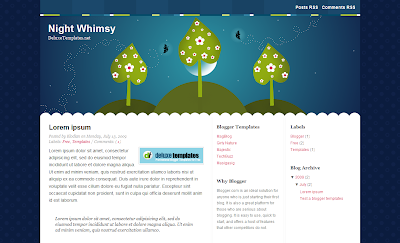 Converted from WpThemeDesigner's template by Anshul. 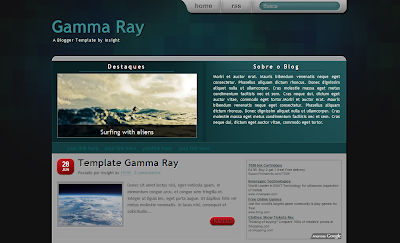 This template by Dante araujo is a fantastic template for photo bloggers, designers and artists! Only the images of each post are visible: these thumbnails expand into a larger version using the JQuery FullSize feature. Be sure to check out the demo for this template: I am very impressed by this template as it demonstrates the full potential of Blogger as a web-publishing tool. 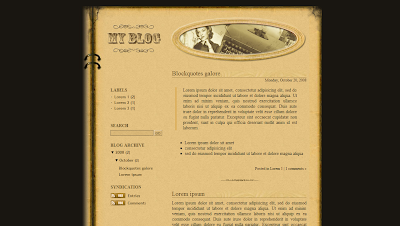 When I saw the Wordpress version of this theme on Smashing Magazine, I wondered when it would be possible to see a conversion of this for Blogger. And finally it is here! 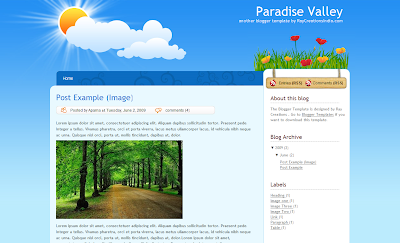 Originally designed by Vikiworks.com, this has been converted for Blogger by Blogger FAQs and features thumbnails for posts on non-item pages, integrated Flickr photostream and stunning graphics in the background. 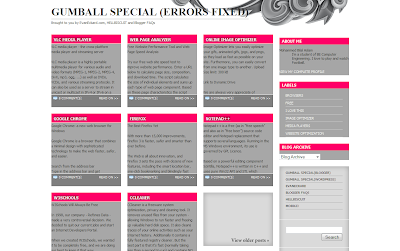 A clean, magazine style theme, Gumball Special was originally designed by Evan Eckard and has been converted for Blogger by Blogger FAQs. A stylish magazine layout from Falcon Hive which has been converted from the original theme by PaddITsolutions. 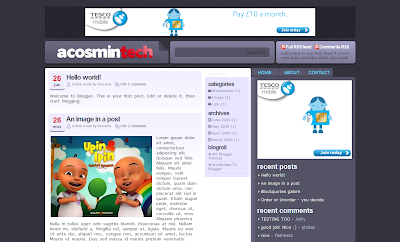 Features a featured posts slideshow, automatic post summaries and excellent use of space in the sidebar. 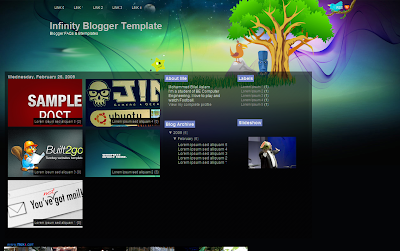 A fully functional template with featured posts slideshow and recent posts thumbnails in the header. This is converted from a template by Jinsona by Cahaya Biru. A pale version of Dante araujo's Showcase theme, which includes automatic thumbnails and a fresh take on the colour scheme. This is a stunning, unbtrusive magazine style design which makes use of all available space in a truly elegant manner. Converted from the WP theme by Wpthemedesigner.com by Blogger Tricks. This is a truly stylish, magazine style theme converted from Jinsona's WP Theme by Cahaya Biru. With bold contrasting colours, a sliding featured posts section and integrated Twitter updates, this is a stylish and highly functional template. This is a pale, gallery-style version of the popular Cellar Heat theme by Evan Eckard, which has been converted for Blogger by MagzNetwork. 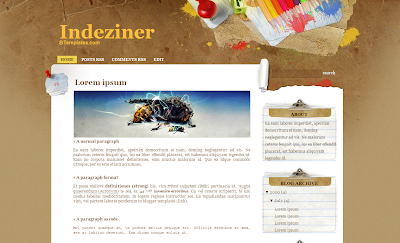 Here is a stunning, elegant template which has been converted from PaddItSolutions' WP theme by FreeBloggerTemplate. 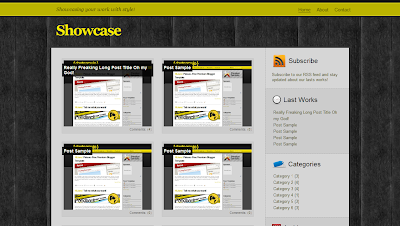 It features a slideshow "featured posts" section in the header and stylish presentation throughout. This is a tremendous theme which really needs to be seen in action in order to be fully appreciated! 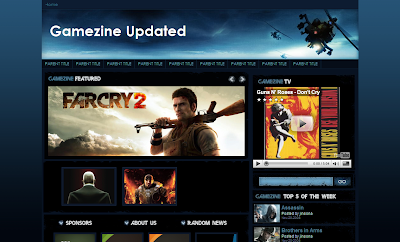 Gamezine is converted from the WP theme by Jinsona Design by Cahaya Biru. It is designed to be a showcase style template for gaming Bloggers, and includes a wonderful magazine-style on the main page. A stunning design from RayCreations with tabbed navigation and high-res background image. 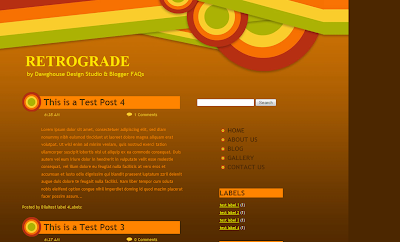 This cheerful, bright coloured theme uses few background images and is very pleasing on the eyes. 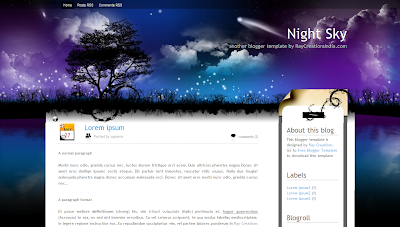 Converted from the WP theme by Deluxe Templates. 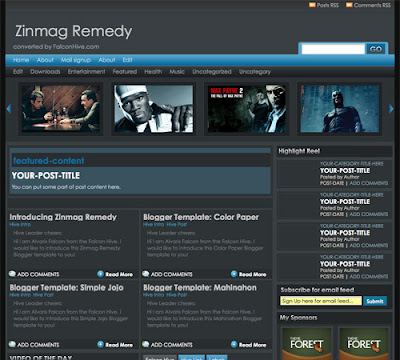 This three column layout was converted from the original theme by Scribblescratch by DeluxeTemplates. Harking back to designs of the past, this bold and colourful template will brighten any blog! 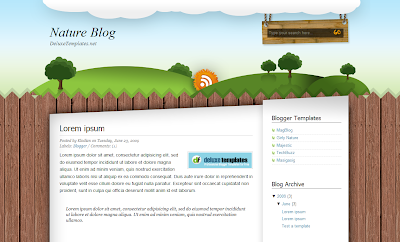 Converted from the original CSS template from Dawghouse Design Studio by Blogger FAQs. Fresh, colourful and beautifully designed, this theme by RayCreations is simple yet truly awesome. 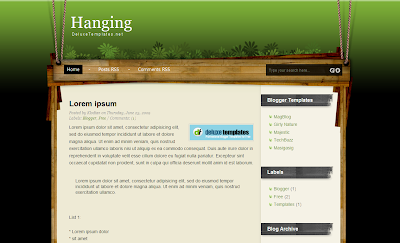 A clean and fresh blog theme, converted from the WP Theme by WebDesignLessons by Deluxe Templates. 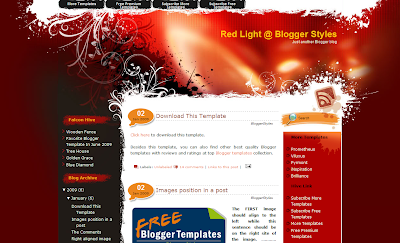 This bright and eye-catching template was converted from Template Lite's WP theme by Blogger Styles. 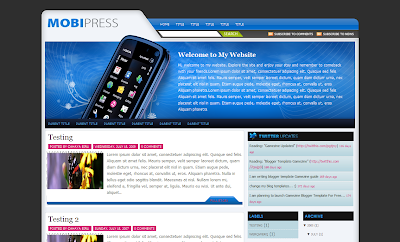 It offers a three column layout with stunning large background image and many stylistic features throughout. 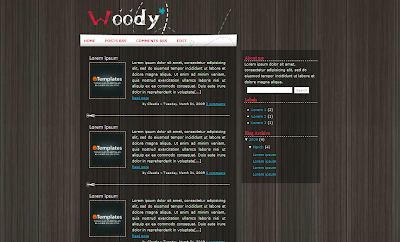 Converted from the WP theme by SimplyWP, this muted colour theme is simple yet effectively presented. 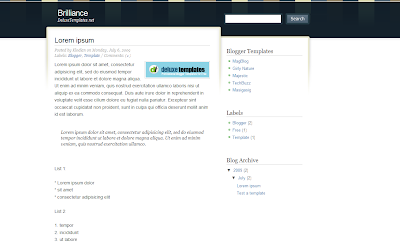 Blogger template coded by Ipietoon. 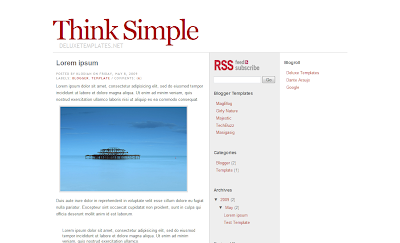 This is a simple, red-toned theme was created for Blogger by Skinpress and offers a clean simplistic layout and an integrated feed link in the header. 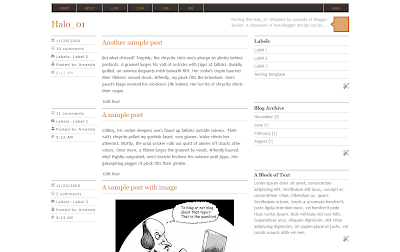 This fast-loading three column blog features three narrow columns and lots of eye-pleasing white space. 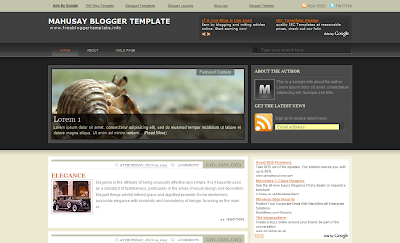 Ideal for micro-bloggers, this was designed for Blogger by Dante araujo. This simple typographic template was converted from Mentariwork's CSS template by Deluxe Templates. Antonio Lupetti of Woork has always had an exceptional eye for design. Typoork is his latest free Blogger template offering, featuring an exceptional clean layout and beautifully ordered typography. An elegant, vaguely feminine theme with minimalist layout. Based on the theme by Quick Online Tips and Bloggerized by ChicaBlogger. This is a two column template of my own design which features a unique approach to presenting the meta-data for each post. A simple, yet highly effective design which includes integrated Twitter updates beneath the header and navigation links. Designed by Dante araujo. 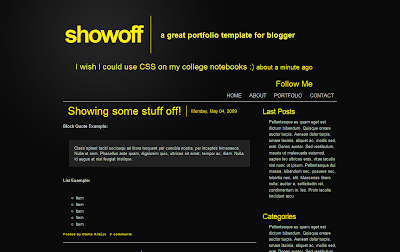 View Demo | Download Showoff template. 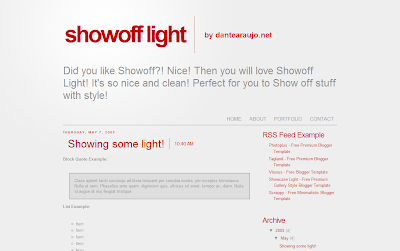 A pale white and red version of Dante araujo's Showoff template. 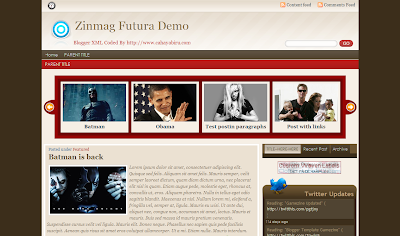 A simple two column theme with only one backgroud image which instead focuses on CSS based colour and typography. 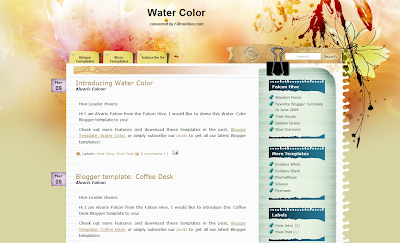 Designed for Blogger by Deluxe Templates. Originally designed for Smashing Magazine by Alexander Dahlberg, this elegant minimal template was converted for Blogger by Blogger FAQs. 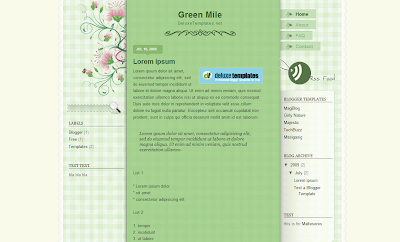 This simple green-toned template is based on the CSS template by FreeCssTemplates and has been converted for Blogger by Blogger FAQs. 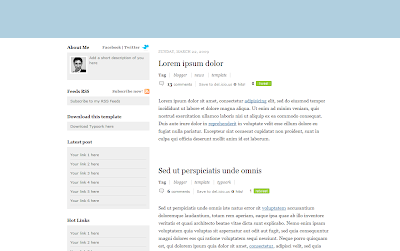 This elegant simple theme features three columns and integrated RSS subscription links. 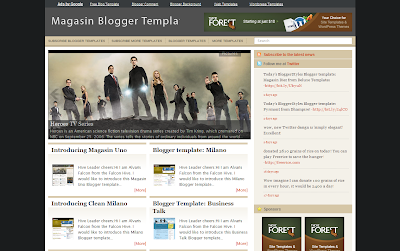 This was designed for Blogger by Deluxe Templates. 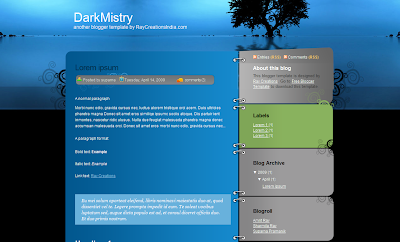 Templates of a dominant dark colour scheme work beautifully where bright contrasting images are presented in the posts. 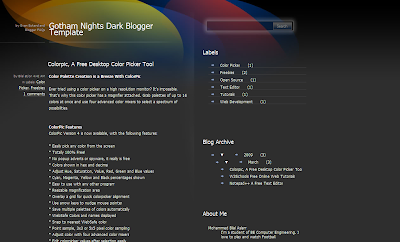 This stunning dark theme was originally created for Wordpress by Evan Eckard, and has been converted for Blogger by Blogger FAQs. This theme includes Twitter updates in the header, well-designed comment counts, plus integrated search, feed and navigation links. 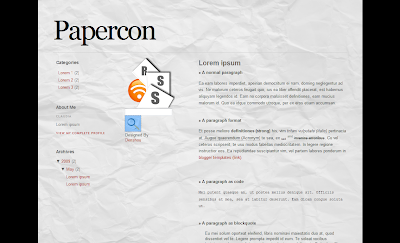 Converted from the WP theme by Skinpress by Falcon Hive. Another stunning original design by RayCreations. 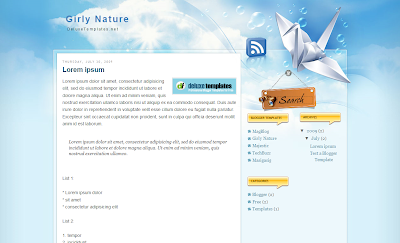 Features a two column layout with unique styling of the different widget types and breathtaking main background image. A dark and serious theme by Dante araujo with a keen focus on each element of style. 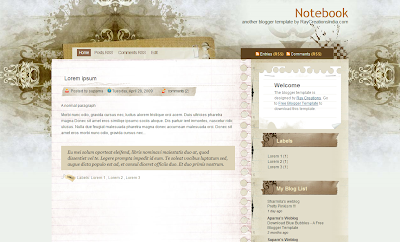 Originally designed by Pelangipetang, this awesome grunge-style theme has been converted for Blogger by Deluxe Templates. 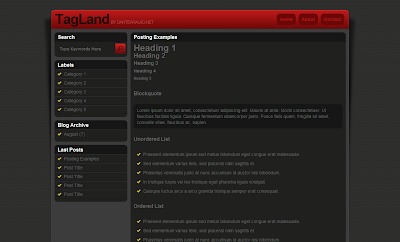 A stunning, simple dark theme which offers three columns in the layout and perfect attention to details. 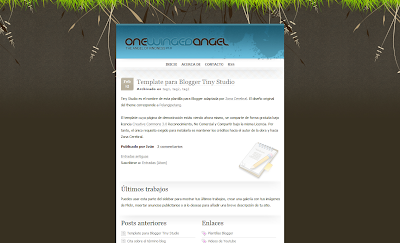 Originally created for WP by Design Disease and converted for Blogger by Blog and Web. This is an image-heavy, beautifully toned design featuring Twitter and RSS links in the header and a stylish approach to the layout. 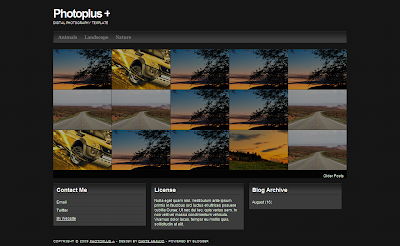 Converted from Skinpress' WP theme by Falcon Hive. Here is another conversion of a Skinpress theme by Deluxe Templates, this time a dark theme with a stylish and highly functional header section. An unusual niche-style template with a patriotic feel, this two column template is not short of features including: automatic date, Twitter integration and navigation links. Converted by Zona Cerebral from the Wordpress design by Jeremy Buff. 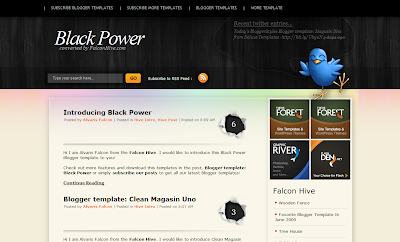 Converted by Falcon Hive from the Wordpress theme by Jinsona Design, this dark intriguing theme offers many great features, though requires a good deal of customization to install. An original dark design by Templates Novo Blogger. A wood effect template with semi-transparent backgrounds, converted from Frozr's design by ChicaBlogger. 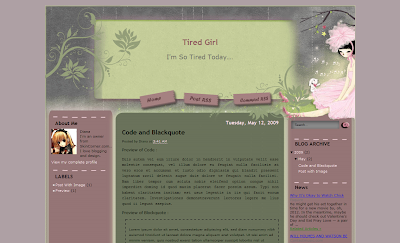 Adii's excellent WP theme was originally converted for Blogger by eBlogTemplates, and has been given a wholly feminine makeover by ChicaBlogger. Gisele Jaquenod's designs are always cute, well designed and perfectly laid out. 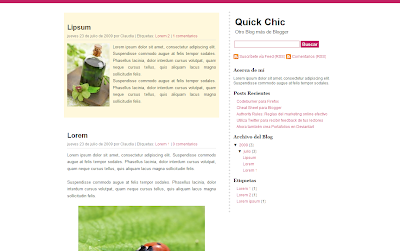 Here is her latest offering: Meet The Chef, a three column feminine design with unique header banner. This cheerful theme was designed by IpieToon and features a split sidebar, widgetized footer section and unique header banner (watch what happens when you move your cursor around...). 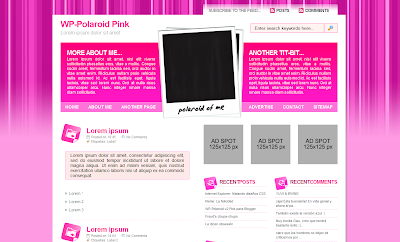 This simple two column theme was originally designed by Top Tut and includes a beautiful header image. Converted for Blogger by BloggerThemes. Tired Girl offers a beautiful header design and quirky approach to navigation. Designed by Skincorner for Blogger users. 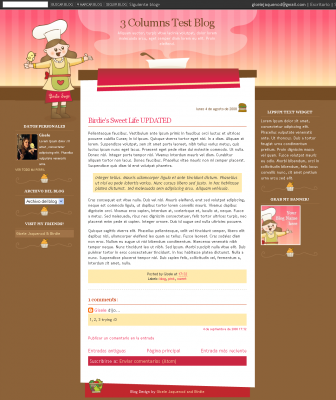 A cute theme by Ipietoon, which is perfect for those blogging about a new addition to the family. 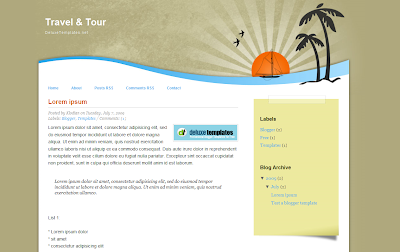 The PSD file may also be downloaded for customization of the header banner. 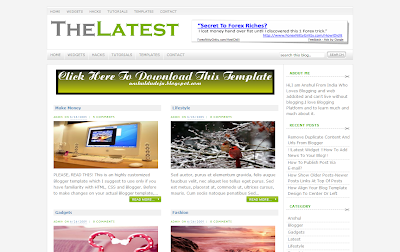 A beautiful Blogger template offered by Klodian of Deluxe Templates, this two column template was converted from the original design by EzWpThemes. This ethereal theme offers a beautiful colour scheme, and includes integrated search and RSS feed link. Converted from the WP theme by TemplateLite by Deluxe Templates. 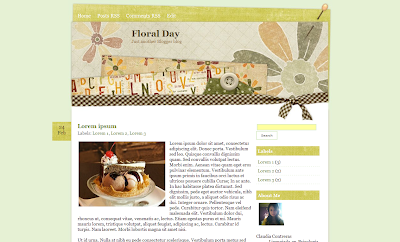 A simple, retrospective design in sepia tones, this theme was converted from GetTemplate's original design by Chica Blogger. 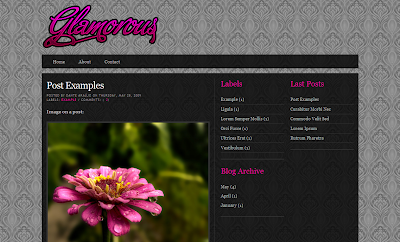 Subtle and feminine, this template was converted from SimplyWP's theme by ChicaBlogger. This original theme by Dante araujo offers a three column layout which can be easily customized by swapping out the background image. The PSD file is included for easy customization of the logo. I love the balanced layout of this subtle theme, which is based on the design by EzWpThemes and converted for Blogger by Deluxe Templates. With a stunning background image, tabbed navigation and stylish sidebar section, this template is impressive while pleasing to read. Converted from TemplateLite's original design by Falcon Hive. I love to see new design styles where the author has chosen to break out of conventional layout schemes. We tend to consider a blog layout as having at least one sidebar to the left, right or either side of blog content; that the header section should span the width of the blog, and other assumed layout options. This set of themes defy convention: some are single column themes (ideal for showcasing photos!) while others do not appear like blogs at all! Based on the WooThemes template, this Blogger conversion includes tabbed navigation buttons, social media links and stylish sidebar headings. 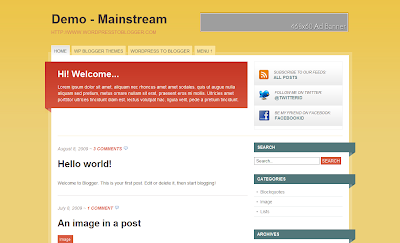 This has been bloggerized by WP Blogger Themes and is well worth a look! Are you launching a new blog soon? 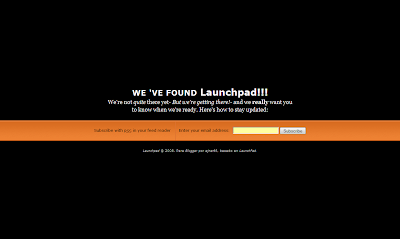 Launchpad is the solution to help potential readers subscribe for updates. 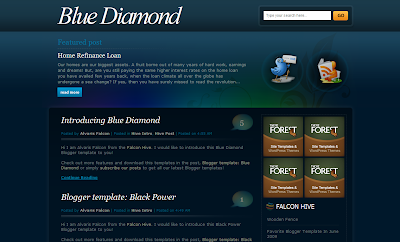 You can write blog posts and simply upgrade your theme once the site is ready for launch. 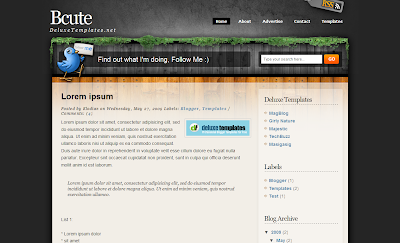 This template was converted by ejner69 from ThemeShaper's original design. Please do take a look at the demo for RS garden to appreciate it fully - my screenshots do not do justice to this unusual theme! Featuring a single, wide column on the home page and a narrow, left sidebar on item pages, this clean layout is ideal for photobloggers. Converted from Rambling Soul's theme by BlogAndWeb. 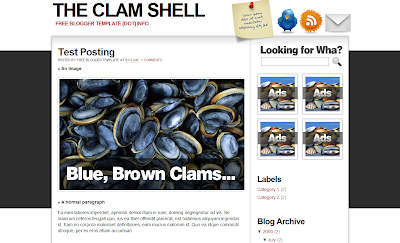 This simple one column theme is ideal for photobloggers and designers to showcase their works. Converted from ClipThePhotos' theme by Deluxe Templates. This is a very clean, single column theme which features the post-meta-data in a column to the right of the post body and a widgetized three column footer. Converted from Nathan Rice's theme by Quite Random. 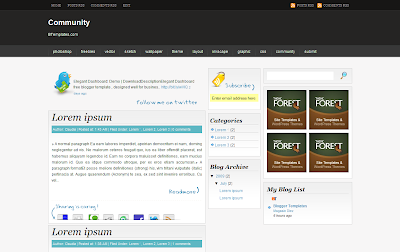 This theme offers a highly unusual, fluid layout in which the sidebar and posts are separated by a central vertical line. 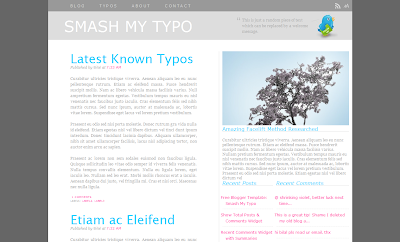 Converted from Guy Fisher's WP theme by Template GoDown. 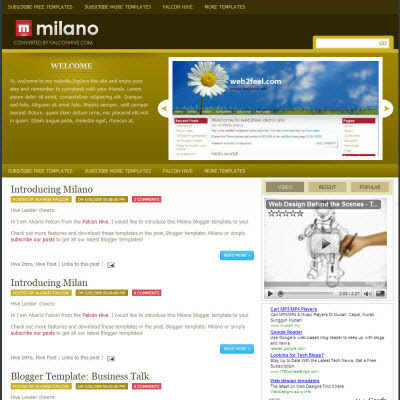 This unusual two column theme is left-aligned: a rare layout style in recent template design. 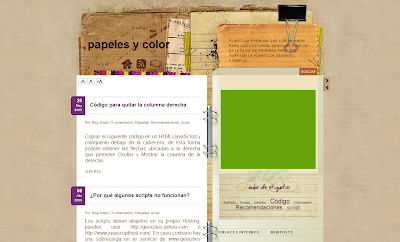 It appears as a grunge-style notebook with highly stylized widgets in the sidebar and integrated navigation links. Converted from the EzWpThemes template by Deluxe Templates. 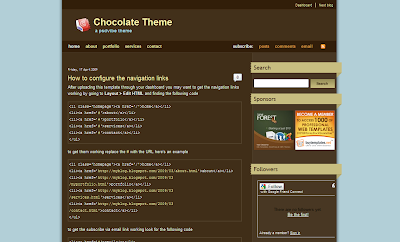 A narrow, single column theme converted from Pelangi Petang's template by Zona Cerebral. Another left-aligned theme, this original design was created by Dante araujo. 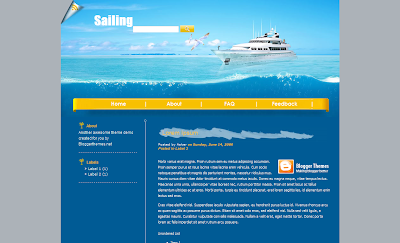 It offers a clean and simple layout with excellent use of contrasting colour and minified header logo. 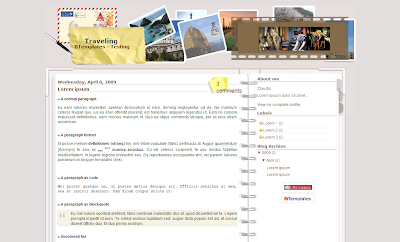 Here is a small selection of "travel" themed templates for Blogger, specifically chosen for those who wish to blog about their travels and world adventures! A bold, bright theme with integrated RSS link in the page curl. 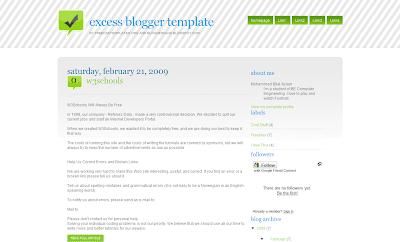 Converted from the EzWpThemes template by BloggerThemes. This is a beautiful, artistic template for travel bloggers. 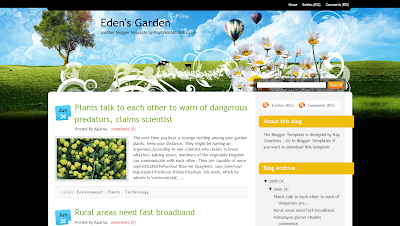 I particularly love the signpost for navigation around the blog! 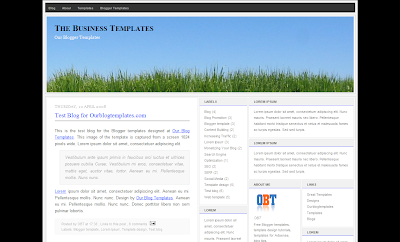 Converted from the WP theme by TemplateLite by Falcon Hive. 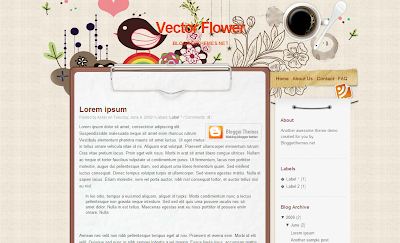 This notice-board style template was designed for Blogger by Lecca and features a split sidebar section. 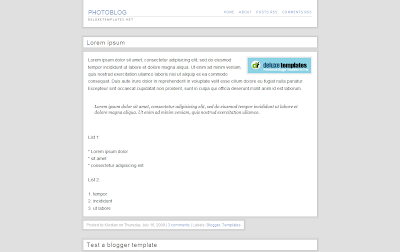 Another template designed for Blogger by Lecca, this features a useful integrated Flickr photostream in the header which displays the latest Flickr uploads - perfect for updating with images on the go! Here is an elegant, simple theme for travel bloggers which features integrated navigation links and a quirky "polaroids" section in the footer. 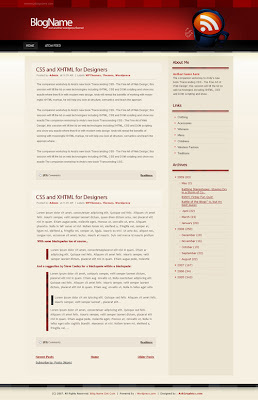 Converted from Free CSS Templates' design by Deluxe Templates. An elegant and highly functional theme which offers integrated Twitter updates, email feed subscription and "SexyBookmarks" for easy syndication of posts. 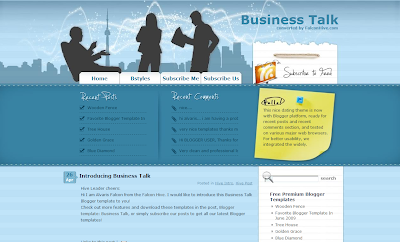 This stylish blue business theme was originally designed for Wordpress by EzWpThemes and has been converted for Blogger by FalconHive. 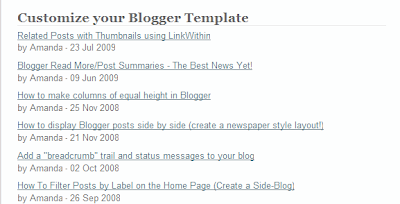 Simple, elegant and well laid out, this template will perform well for a multitude of blog niches. Converted from Blog Oh Blog's original template by Deluxe Templates. MobiPress in another feature-rich template from Cahaya Biru, with a bold colour scheme and interesting layout. This was converted from the WP theme by Jinsona Design. This is a beautiful grunge-inspired theme by Ray Creations, which inuludes a stylized welcome message and integrated navigation links. 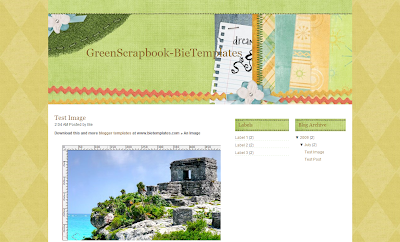 Originally a WP theme by Web Design Lessons, this lush green theme was converted for Blogger by Deluxe Templates. A professional theme, this can be adapted to have 2-6 columns for all your widget needs. 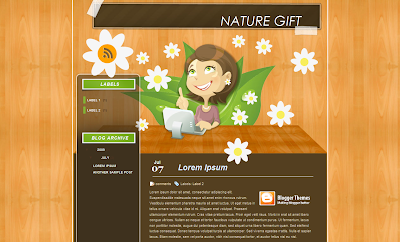 The header image also may be changed to suit the requirements of your blog. 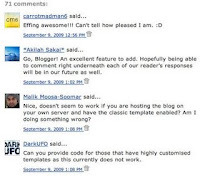 Based on Andrew Lindstrom's beautiful Wordpress theme, this Blogger conversion was coded by Blogger FAQs. An awesome theme with big bold icons! 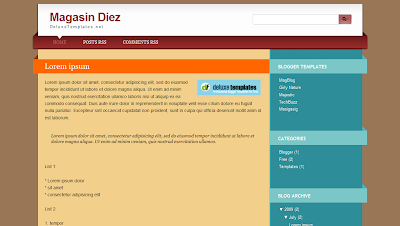 Converted from Michael Soriano's template by Free Blogger Template. This is a simple, grunge-style theme with a huge RSS icon in the header, integrated navigation links and beautiful typography choices. Converted from the Skinpress theme by Dante araujo. This delicious template was coded by Lawny and is based on a PSD tutorial by PSDVibe. 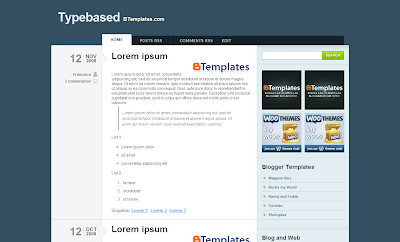 Typebased is a beautifully elegant design, originally created by Woo Themes and bloggerized by BTemplates. This design features two columns in the layout, and post data is separated in a column to the left. 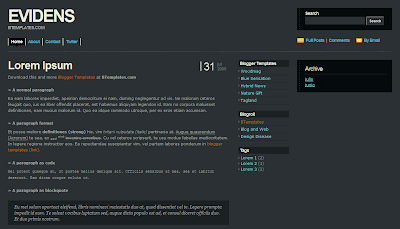 This stunning, glossy theme is based on the original template by Alexandru Cosmin and converted by WP Blogger Themes. 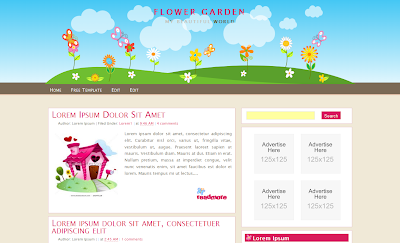 This design includes a breathtaking background image and stylized sidebar column. Another intriguing and original design by Ray Creations. 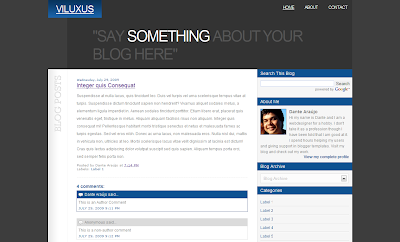 This grey and blue themed design puts the blog's description in central focus - a feature noted among portfolio blogs and websites - while the blog title is minimal in the upper left corner. 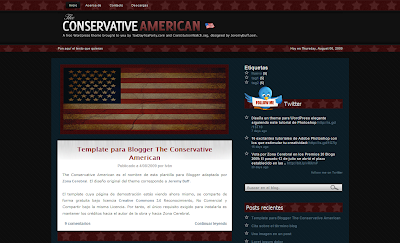 An original Blogger design by Dante araujo. Last - and most certainly not least! 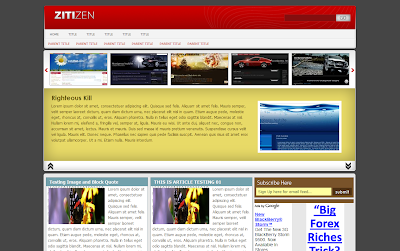 - this amazing theme by Blog Amuki is adapted from Falcon Hive's excellent Zinmag Tribune template. Tonos Cálidos uses the magazine template, but injects this with subtle grunge overtones and a warm colour scheme. This is even more beautiful when viewed in the browser, and would make an excellent choice for a portfolio blog or personal site. 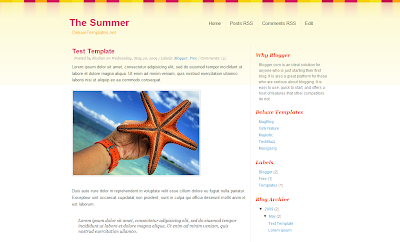 Blogger templates have truly evolved over the past twelve months. It's been a pleasure to find such great templates and talented designers who offer their works for free download in efforts to improve the resources available to the Blogger community. Each of these templates is the product of hard work, patience and perseverance. Wherever possible, I have linked to the download page on the Blogger template coder's site and - where applicable - to the original designers website (in cases where templates have been converted from another platform). For any of the templates you download, be sure to check the license and adhere to any conditions of use. After all, attribution for the work of these talented designers is the least reward we can offer for their efforts! Let us know which designs you love the most by leaving your comments below! Image credit (top of post): Swisscan.